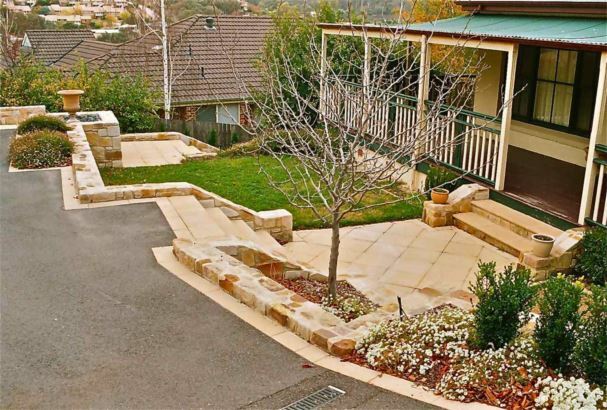 This block, perched on the side of a hill, & featuring a ‘Federation style’ home over many levels, presented many challenges. 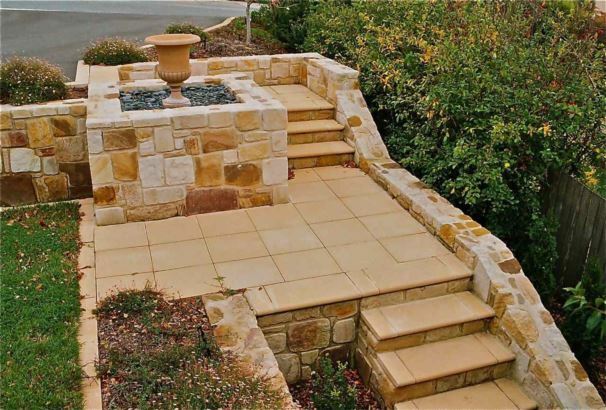 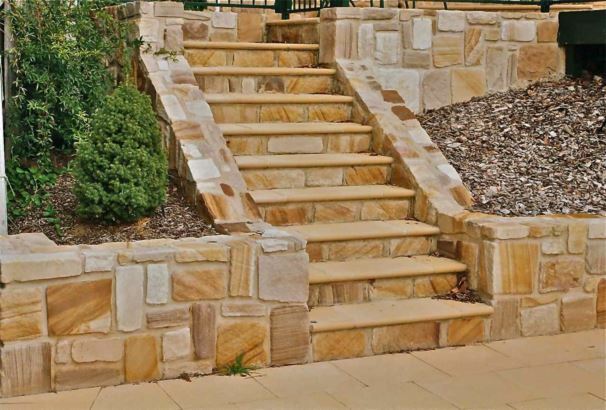 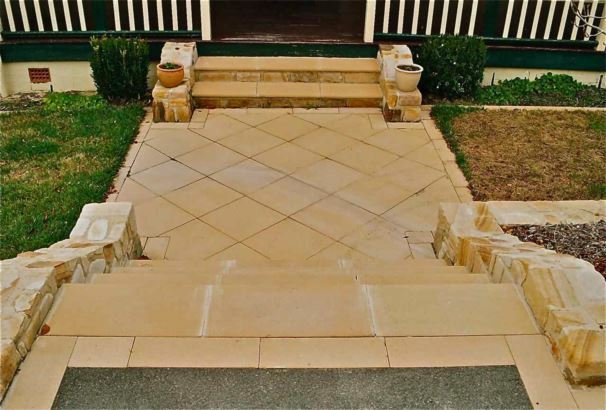 Level courtyards, a long asphalted drive, Sydney sandstone walls, sandstone pavers, & a renovated pool are amongst the many features of this garden. 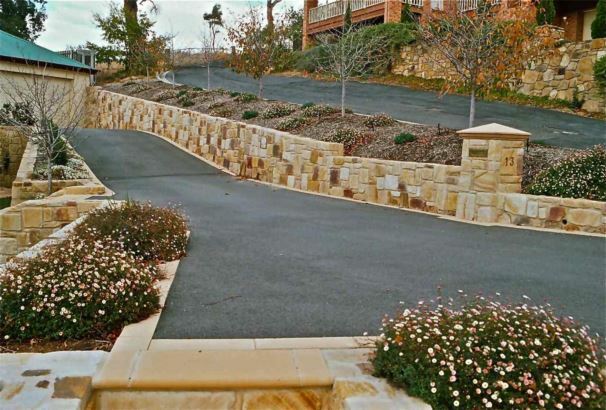 Peter Morton was the principal contractor & Tony Sep constructed the stone walls.